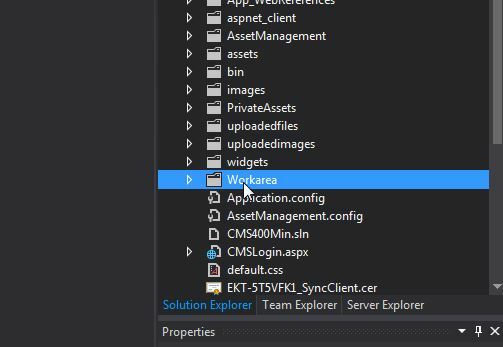 If you are getting warning messages or experiencing issues when you compile your Ektron site in Visual Studio, this may be caused by the need to exclude the Ektron workarea folder from the build. 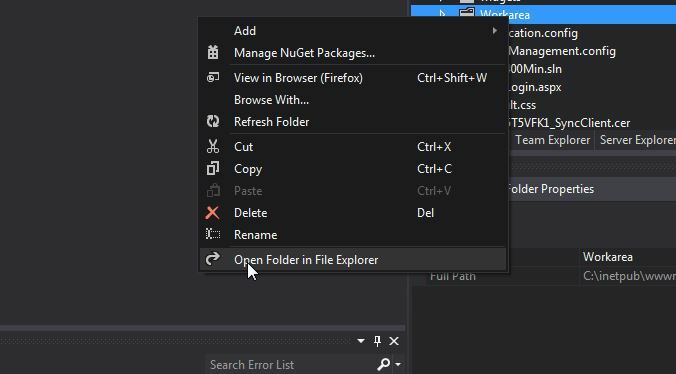 Right click on the workarea folder in Visual Studio and select the "Open Folder in File Explorer" option. 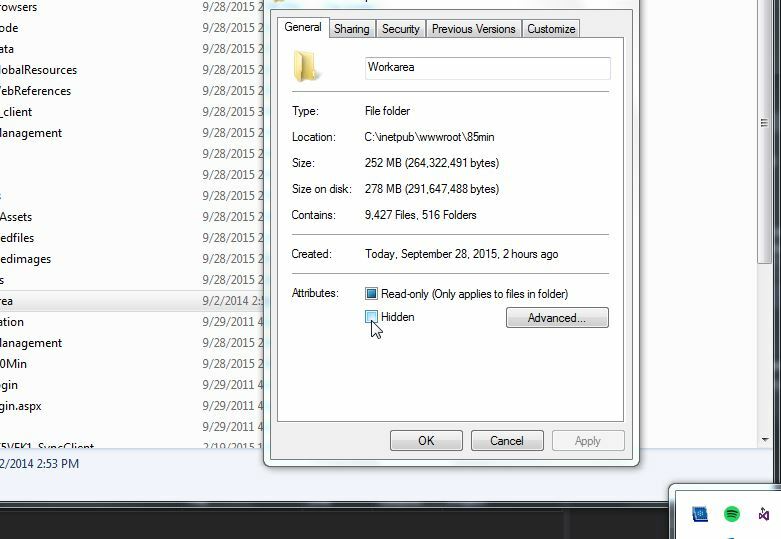 Next right click on the workarea folder and go to the folder's properties. Check the hidden check box at the bottom. 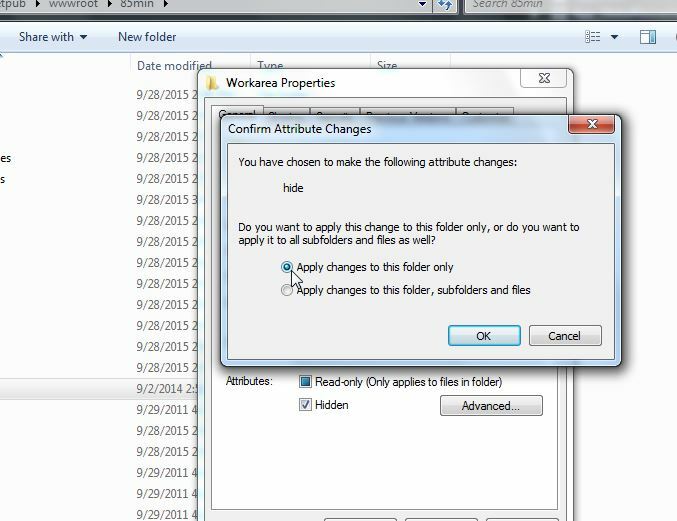 Finally check the "Apply changes to this folder" button and click OK.
Now when you build you Ektron site in Visual Studios it will exclude the workarea folder from the build.